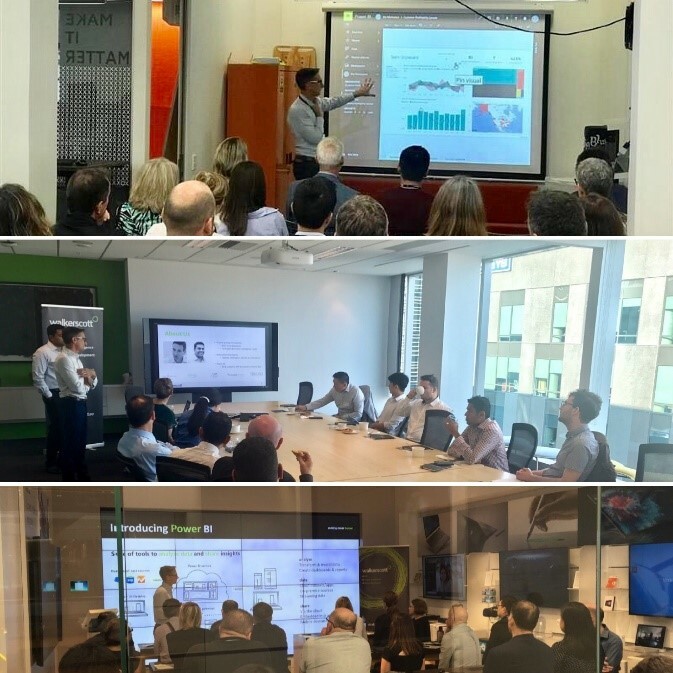 The Walkerscott Power BI team have been on the road holding presentations on Microsoft Power BI, in Wellington, Auckland and Sydney. The tri-city Power BI presentations were targeted at business managers and senior staff who are looking to understand how implementing Microsoft Power BI can improve the way an organisation uses its data. Hosted by Co-Founder Blair Scott and Power BI Team Leader Farid Jalal, the team was able to give a real Walkerscott experience by using customer examples such as Comvita and Snackbrands. The goal of the presentation was to focus on informing organisations on how to ensure the successful roll-out of Power BI through practical application and demonstration of Power BI. It was great to connect with individuals who wanted to learn more about Power BI and discuss how Power BI can interact with the rest of the Office 365 suite as well as Azure services. If you missed out on this event – don’t worry because we are still happy to share the information and presentation. If you would like to discuss this fantastic opportunity, then contact us on hello@walkerscott.co and we can talk about how we can share this information with you and your team.